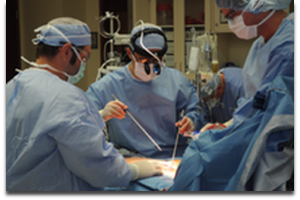 Dr. Ciuffo’s minimally invasive, low-impact heart surgery techniques have been always developed with the patient’s best interests in mind. My interest in developing bloodless heart surgery techniques bloomed early in my professional career. 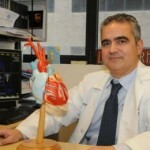 Bloodless techniques is an extremely important aspect of low impact care of cardiovascular patients, and Dr. Ciuffo has adopted and employed these techniques to comply with Jehovah Witness beliefs as well as for the general health of all of his patients. Dr. Ciuffo started to employ no-blood surgical techniques in the late 90′s to comply with the religious beliefs of the Jehovah’s Witness congregations first in Pittsburgh, then in New York City, and now in my specialized national referral center for bloodless heart surgery in Canton, OH. The science behind bloodless heart surgery has made impressive progress over the last decade and it is now possible to offer this option routinely in the vast majority of our patients. Jehovah Witnesses Must Abstain From Blood Transfusions – There are many myths surrounding about Jehovah Witnesses and about blood transfusions, but the truth of the matter is that Jehovah Witnesses believe in modern medicine, but must abstain from accepting blood, as is described clearly in both their New and Old Testament. Dr. Ciuffo Respects Religious Beliefs of All Patients – Many people travel from all over the world to see Dr. Ciuffo for his specialty expertise of bloodless techniques adnd his caring and compassionate manner. If you are in search of a expert cardiovascular surgeon who will respect your religious views, call Dr. Ciuffo today at (330) 363-1341 or contact us online. Extra Corporeal Circulation (the heart-lung machine) with or without blood storage. The entire blood volume can be kept in circulation at all times, in compliance with the principles and beliefs of the Jehovah Witness community. Beating Heart Surgery avoids using the heart-lung machine and helps maintain a better ability to coagulate and stop bleeding after surgery. Blood Salvage or “cell saver” machine collects, filters, and returns the patient’s blood to his/her own circulation. A closed circulation loop with no storage can be maintained at all times. Cell Saving Recycling & Rinsing of any blood absorbed in surgical pads and gauze during surgery. 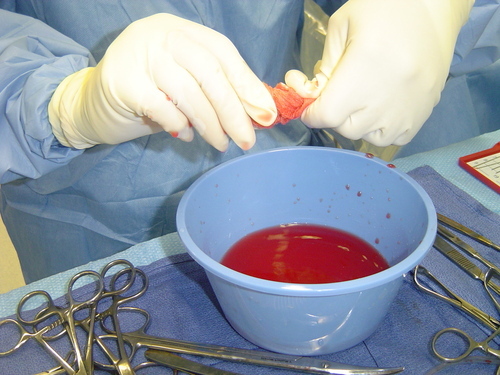 A surgical gauze pad can absorb up to 300 ml of blood which could be lost with the rest of the disposables if an effort to recover it is not routinely made. A considerable amount of blood can be returned to our patients by following the simple routine, reaching the end of the operation with virtually no blood loss. Synthetic Topical Hemostatic Products (not derived from blood) help control surface bleeding during surgery. Hypervolemic Hemodilution solution dilutes blood volume during surgery then re-concentrated at the end of surgery. Hypotensive Anesthesia is a controlled, lower blood pressure anesthesia that causes less bleeding during surgery. Intra-Operative Electro-Cautery (also known as argon beam blood vessel coagulation) is used to minimize blood loss with meticulous attention to detail. Read more about Bloodless Heart Surgery techniques from Dr. Ciuffo here. For further information about minimally invasive, bloodless heart surgery that will align with your religious beliefs, please get in touch with Dr. Ciuffo today. Call our office at (330) 363-1341 or contact us online. Dr. Ciuffo looks forward to helping you move toward living a better, healthier life.